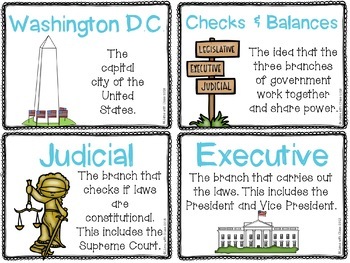 Looking for extra practice with content based vocabulary about government? 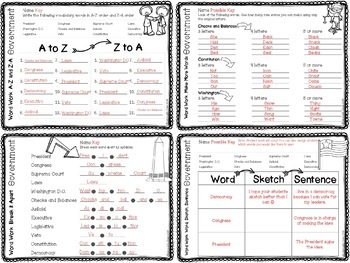 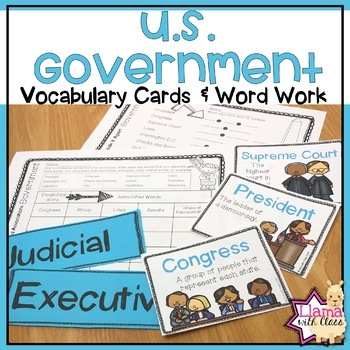 The US government set includes 12 content based vocabulary words that are used in vocabulary cards and word work activities. 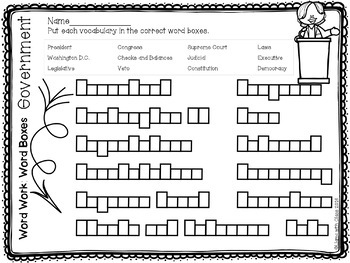 ➙8 different word work activities.